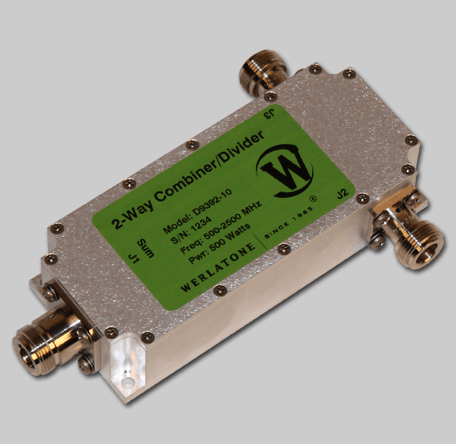 Model D9392 is a broadband, 2-Way Combiner/Divider that covers the full 500-2500 MHz. This High Power Design is conservatively rated at 500 W CW, and operates with less than 0.3 dB of Insertion Loss. The D9392 will tolerate a full input failure, at rated power.